.net—sites that form part of the Internet infrastructure, sites of Internet service providers, and other large network sites. .gov—government organizations in the United States. 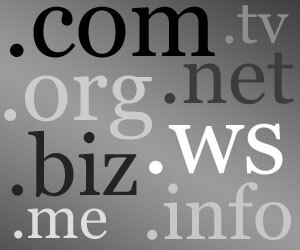 Private or vanity domains: names of individual businesses registered by the business (e.g., .fiat for the Italian car maker, .gop for the Republican State Leadership Committee, and .helsinki for the city of Helsinki, Finland). Product domains: names of online products registered to support the product (e.g., .drive, for Google Drive, a cloud storage system). Community of interest domains: restricted to registrants in a particular group (e.g., .wien for people and organizations in Vienna, and .pharmacy for licensed pharmacies). ICANN has also established some expanded protection for trademark holders. The Trademark Clearinghouse (TMCH) allows trademark owners to register names to which they make trademark claims. When a new gTLD is created, it has a “sunrise” period of 30 to 60 days, during which only applicants with names in the TMCH can apply. If there are multiple applications for the same name, the registry has an auction among the applicants. After the end of the sunrise period, the gTLD is open for registration under whatever rules the registry sets, but names that match a TMCH entry cause a warning to be sent to the registrant, and a notice sent to the trademark claimant. After a domain is registered, ICANN’s Uniform Rapid Suspension System provides a fast path for trademark holders to deactivate domains that match their trademarks.